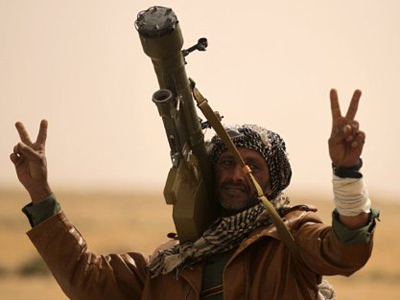 Libyan revolutionary forces plan to launch what they call the "final assault" on the city of Sirte. Meanwhile, the Red Cross is warning of a humanitarian crisis in the besieged town. 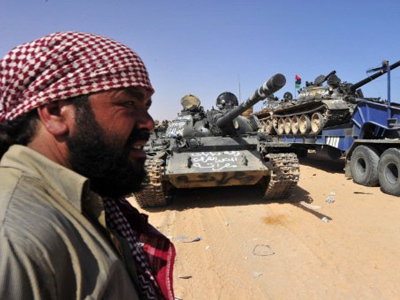 ­The National Transition Council fighters, supported by NATO warplanes, continue to bombard the pro-Gaddafi’s forces. On Monday the NTC advanced several kilometers further into the city, firing rockets on the eastern edges of Sirte, one of the last pro-Gaddafi bastions left in the country. The interim prime minister, Mahmoud Jibril, warned on Monday that the end of all fighting may also entail capturing other pro-Gaddafi strongholds, including Bani Walid and pockets in the southern desert. Meanwhile, hundreds of civilians are leaving their homes to avoid another bloody fight. The International Committee of the Red Cross has warned of a medical emergency in the city as people are reported to be dying on operating tables. ­“There is a lack of medical personnel, no medical equipment, no drugs, no medicines, and there is no electricity inside the hospital and the water tank has been hit. 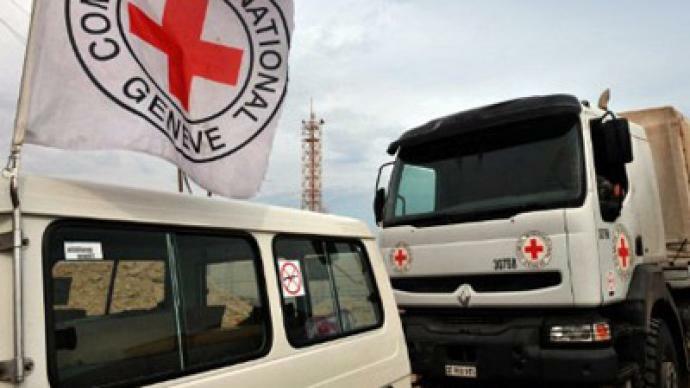 So there is no water available in the hospital,” Dibeh Fakhr of the Red Cross told RT after visiting the city’s hospital. The Red Cross team was not allowed to treat patients in the hospital of Ibn Sina, which has reportedly been hit. “Even in the hospital of Ibn Sina we did not manage to tour the hospital to find out about the number of casualties and the situation inside the hospital. The security situation did not allow us to stay longer,” Fakhr said. On Monday the Red Cross managed to deliver “urgently needed oxygen” and “other medical equipment” to the hospital in Ibn Sina. 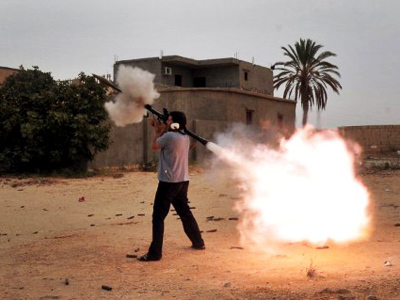 But despite that positive move, the situation in Sirte remains tough for innocent civilians. And RT’s correspondent reports that the people she had spoken to complained about lack of food and water. The humanitarian situation in Sirte started to worsen at the end of last week, when the UN did not manage to deliver humanitarian aid as rebels besieged the city’s airport.